Funny Greeting Card. Vintage Photo Card. 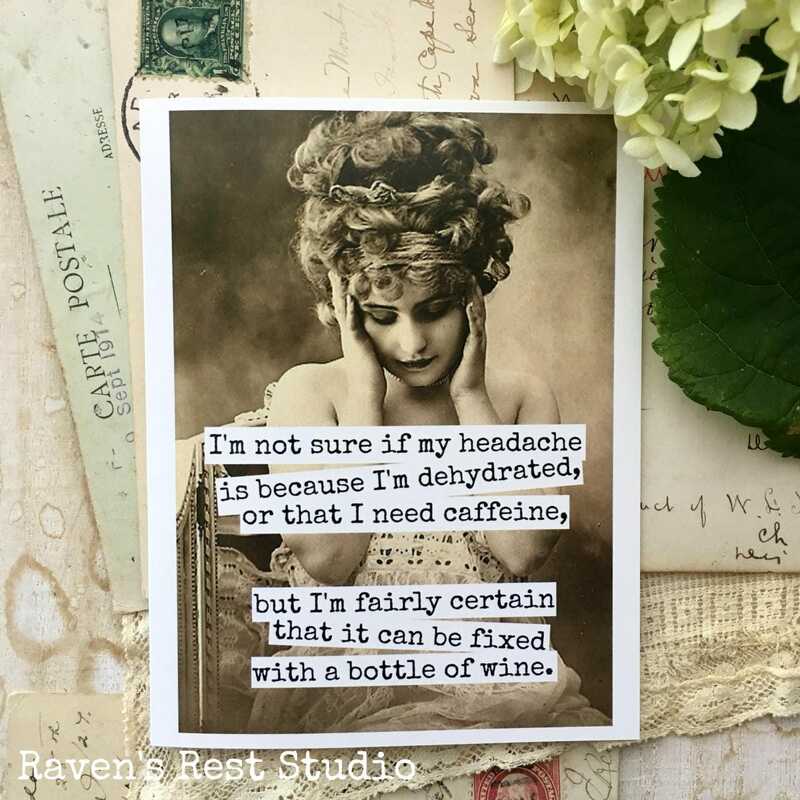 Wine Quote. Friendship Card. 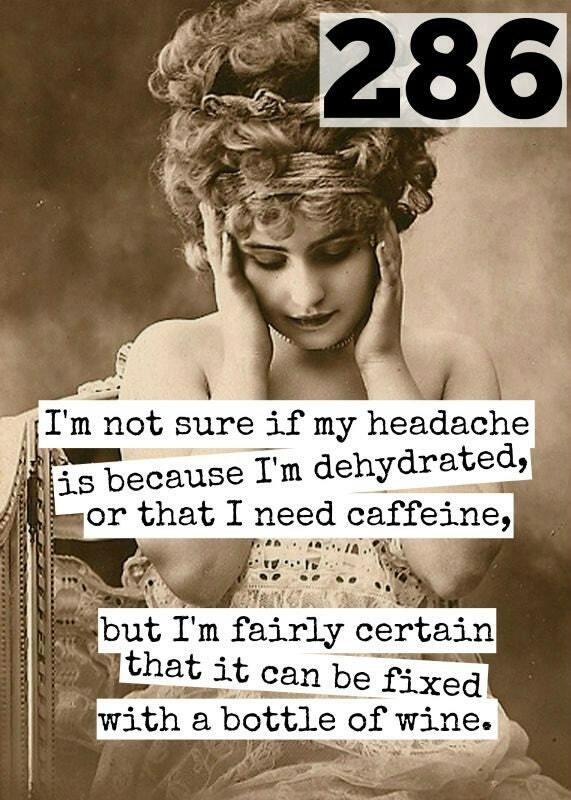 Headache Fixed With A Bottle Of Wine. Card #286. 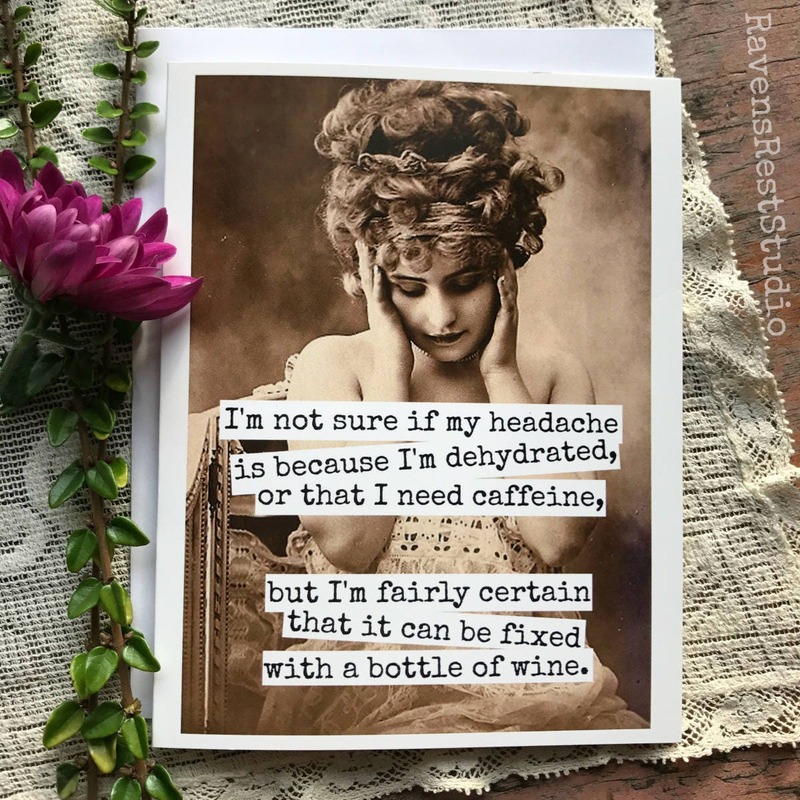 This card features a vintage woman nursing a headache and reads: "I'm not sure if my headache is because I'm dehydrated, or that I need caffeine, but I'm fairly certain that it can be fixed with a bottle of wine." This card was perfect and so was the second one in came with!